Kim has been a massage therapist for 25 years and an educator for over 35 years. She holds a Rank 1 from Eastern Kentucky University, and a Bachelor’s degree in biology education/Master’s degree in Comprehensive Science Education from Northeast Missouri State University (now Truman State University). She graduated from Lexington Healing Arts Academy in 2003. 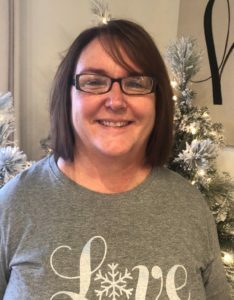 She is passionate about massage education and has taught in both Kentucky and Alabama training massage therapists for 20 years. She works with the University of Kentucky track team and is excited about establishing her massage practice at Lexington Integrative Health again following her recent move back to Kentucky. Her areas of specialty are varied. She is skilled in aromatherapy, trigger point therapy, craniosacral therapy and Active Isolated Stretching. Her most recent training in 2018 was in hospital based massage therapy and oncology. She is also involved with massage school accreditation through ABHES and COMTA as an evaluator. She spends most of her free time with family and at sporting events with her grandsons.